Hold your horses, the Spring Equinox is not until March 20th and if the 10-day forecasts hold true, then we are in for another visit from old man winter before the seasons change. The nice weather this weekend did get many of us outside. Despite a little ice and lots of salty water on the road, I had the bicycle out and covered as much ground as I could muster. 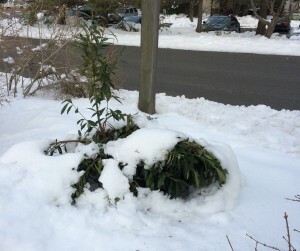 All I could think about as I rode was “what’s under the pile?” This morning on the NY news the local weather person suggested that we lost about 50% of the snow pack in Central Park, so with the warm weather causing significant snow melt we are finally getting the first indication of how our plant material overwintered. 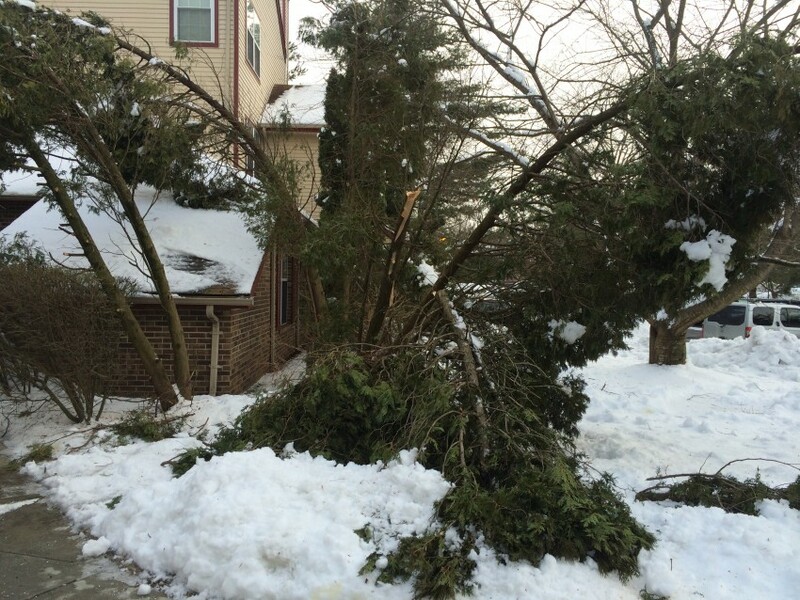 As far as trees and shrubs are concerned, most of the damage I saw was mechanical. Heavy snow and ice simply broke branches. As usual, white pine and arborvitae took it hard and brush piles are already starting to form on affected properties. During your clean up, be sure to take the time to make proper pruning cuts on damaged plants. Leaving jagged edges and broken branches will invite canker-causing fungi and borers into the plants as we move into summer. Exposed turfgrass looked pretty good. At least as good as one would expect for late-winter. 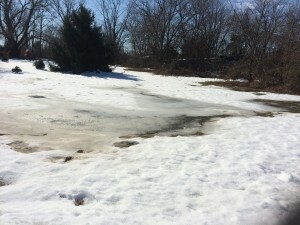 The snow cover protected the grass from wind desiccation. There was also not much de-icing salt damage evident on the turf and the adjacent vegetation along roads and driveways. Of course, there is still plenty of snow to melt, but I did not see any gray snow mold either. 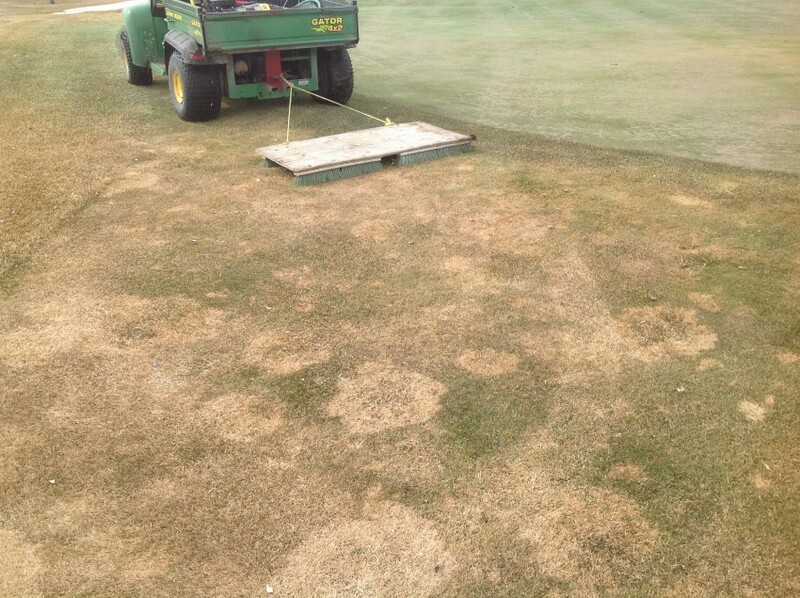 We’ll keep watching for snow mold, because I am sure both pink and gray snow mold have been active this winter. The one issue I did find disconcerting was all the standing water on some sites. In a couple days that water will be a hockey ring, and freeze injury and ice smothering can be significant problems for the turfgrass underneath. Ice damage to putting green. Photo: Seth Orr, Osprey Meadows Golf Course at the Tamarack Resort. Just a couple observations to get the ball rolling this year – welcome to the 2014 season! Are you ready? I’ve got the fever, bring on the death and destruction!